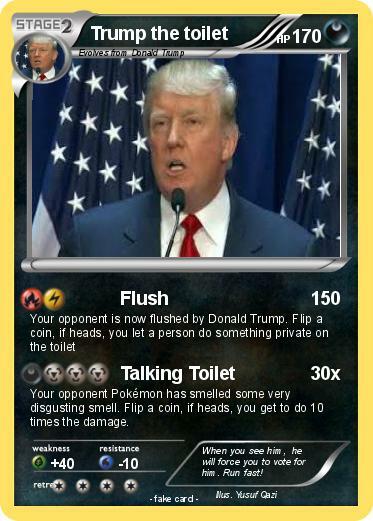 Your opponent Pokémon has smelled some very disgusting smell. Flip a coin, if heads, you get to do 10 times the damage. Comments : When you see him, he will force you to vote for him. Run fast!